Building fabric is one of the most important parts of any construction project. From selecting the right brick, carpentry materials, roofing and roofline to ensuring our plasterers leave a smooth silky finish. 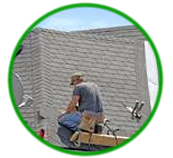 We ensure that our materials are of the highest quality and are applied with perfection. We can supply and install high quality windows and doors from timber, PVC or Aluminium. All our windows and doors are made to measure individually for each customer. 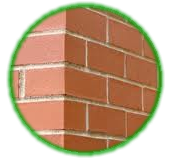 We can supply any type of brick or stone material required and can match up existing patterns and colours. 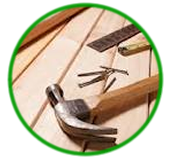 We offer comprehensive carpentry services from hanging doors to building framework. From a single slate to a complete roof replacement or fascias, soffits and guttering we can cater for any requirement. 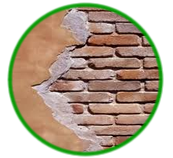 We can plaster internal walls and render the exterior of any size property.